A Groundbreaking Experiment: What is the Shape of an Electron? This seemingly paradoxical statement, which by any measure would appear to provide evidence against the conclusions of quantum physics, is actually one of the cornerstones of this wonderful school of thought, encompassing everything from the Copenhagen interpretation to wave-particle duality in one ground-breaking sentence. But if we really think about the distinction that this statement is making between objects on the macro and microscopic level, it does leave the mind slightly puzzled as to what everything on the quantum scale would really look like if we could see it as we see macroscopic objects. A number of questions present themselves like, for example, what shape is an electron? So, what is our intuitive answer to the question? In all artists’ impressions of the atom, we see the electron depicted as a small shiny sphere orbiting the nucleus, so a reasonable guess would be to say that the electron is a snooker/billiard ball shape and according to the experiment of a joint project between physicists in Yale and Harvard known as ACME (Advanced Cold Molecule Electron-EDM), that is very close to the truth so full marks if you got that, and commiserations to anyone who was hoping the electron was going to be shaped like anything more exciting. 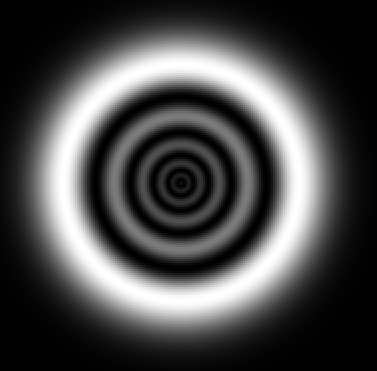 Electron ring via R. Grobe & Q. Su/Illinois State Univ. This is the question I’m sure is now on your mind: the electron appears to be a standard shape, and all is well in the world, so why is it of interest to physicists? Well in actual fact, the shape of the electron is predicted to be of a different nature for different theories, in particular super-symmetry predicts that the electron should be slightly elongated, not a perfect sphere, so by measuring this seemingly innocuous property of the electron, the validity of these theories can be measured. The revolutionary method of determining the electric dipole moment is also incredibly exciting. Firstly a beam of Thorium Oxide molecules is directed into an electric field between two plates, and then an optical pumping system is used to excite the molecules from the ground electronic state to the lowest rotational energy level, corresponding to the x and y planes. This spin state is then acted upon by torques caused by the electric field which causes a precession of the spin vector of the electron. Precession is the property of a rotating object that spins on its own axis and rotates round a separate axis; it is best explained by a gyroscope which, as it begins to slow down, starts to rotate as it leans over, all the while spinning on its own axis. For the electron – which also has a spin associated with it; albeit not the traditional kind that the gyroscope possesses – the spin vector can precess, depending on the electric dipole moment of the electron. Through use of a second optical pumping system, the angle of the precession from the original spin can be calculated, and through this, the torque acting on the spin vector (and therefore the EDM) can be determined. This is done by measuring the energy change as the excited electron relaxes to its original energy level – from whatever angle of precession it is at back to its ground state – with photomultiplier tubes to allow detection of the photons given off due to the relaxation. For the full details, have a look at the original academic paper linked here. The results of this are astonishing: to quote DeMille again: “… Now imagine an electron blown up to the size of the earth. Our experiment would have been able to see a layer 10,000 times thinner than a human hair, moved from the southern to the northern hemisphere. But we didn’t see it, and that rules out some theories.” This analogy is certainly impressive, beating the precision of the previous figure for EDM measurement by a factor of 100. So what is the significance of this for super-symmetry? The basic idea of super-symmetry (SUSY) is that for every particle so far discovered, there is also a super-partner with a spin difference of half an integer. This spin difference means that for every boson (which has integer value spin) there exists a super-partner which is a fermion (which has non-integer value spin). For example, SUSY predicts a super-partner for the photon called a photino with a spin: ½, and a super-partner for the gluon known as a gluino. 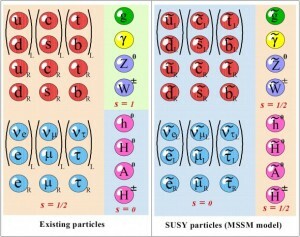 These super-symmetric particles have yet to be discovered through experiment, which is why SUSY is still a theoretical extension to the Standard Model, but if the predictions of super-symmetry are correct, theorists predict that the shape of the electron would be distorted by a cloud of virtual particles that are permitted to pop in and out of existence provided they do so in a time period allowed by the uncertainty principle. This distortion would result in a non-zero value for the EDM and the fact that the electron has not been affected in this way suggests that these virtual particles are not present, a heavy blow to SUSY. This really is an incredible experiment, creating high precision measurements of a fundamental property of a very familiar particle, and through this, testing the validity of a theory that is attempting to explain the whole universe. The ACME team are rubbing shoulders with the the likes of the Large Hadron Collider team in their quest for knowledge, and providing equally groundbreaking research in a hugely more modest setup. The Physics of Stopping Time: What Would a World Without Time be Like? The Pillars of Creation, or the Pillars of Destruction?